Installation shot of work by Christopher Campbell as seen in 'En Mas' at the NAGB, curated by Krista Thompson and Claire Tancons. The linkage between the visual arts and politics would become definitive of the growing body of work that Krista Thompson has done and continues to do. 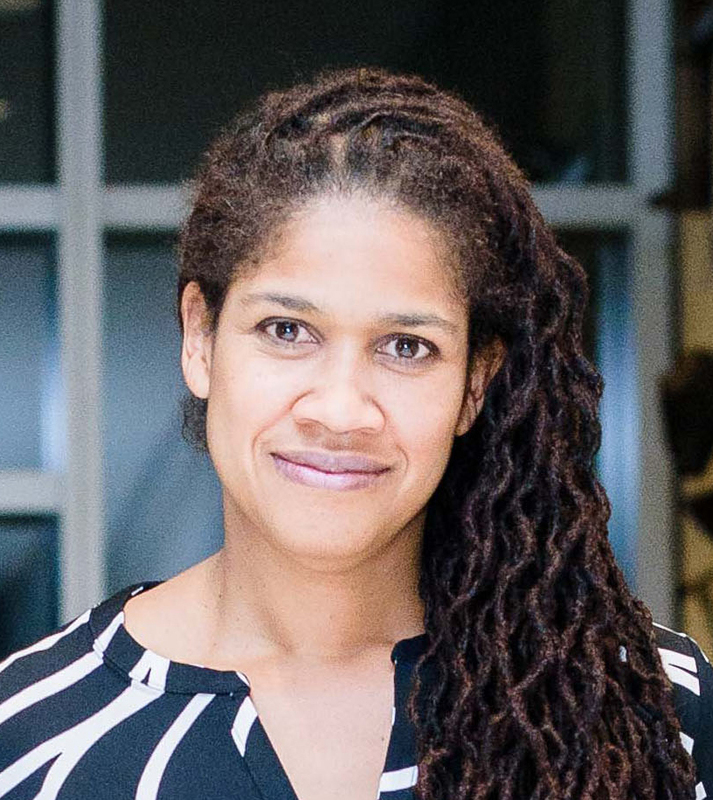 Following her time at McGill, Thompson received a prestigious internship at the Metropolitan Museum of Art in New York City where she worked as an assistant for noted curator and art historian Lowery Stokes Sims. At the Metropolitan Museum of Art, Thompson started thinking more in-depth about the notion of ‘the other’. In Henri Rousseau’s work, for example, she started trying to understand the ‘tropicalized’ notions the artist was articulating, despite the fact that Rousseau had never traveled to the places that he was representing. Then she started looking closely at the use of African masks and the various notions of people and places that had been definitive to the formation of modernism. One scholarly project would give rise to another. Her second book, “Developing Blackness: Studio Photographs of “Over the Hill” Nassau in the Independence Era”, told the story a black Bahamian community’s growth and their descendants ascendancy into the leadership of Bahamian society. This book tackled the ways in which black photographic archives were kept and the stories that these archives told.